Here is the most awaited release date poster of "Neeya 2" movie, directed by L. Suresh and produced by Sridhar Arunachalam under the banner of Jumbo Cinemas. The movie starring Jai, Varalaxmi Sarathkumar, Raai Laxmi and Catherine Tresa, in the lead roles. 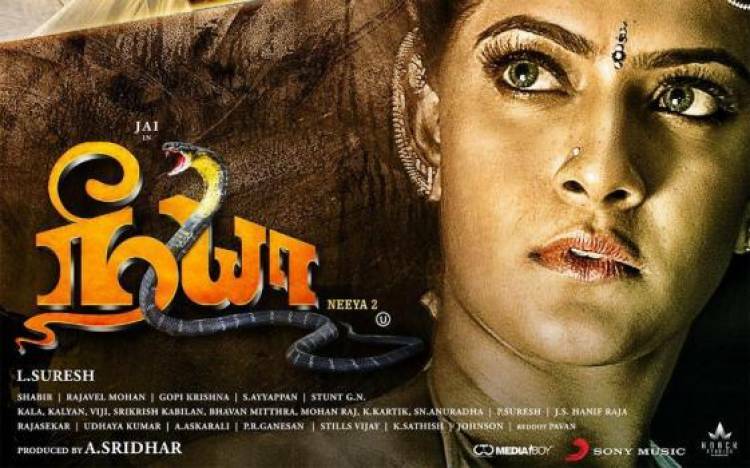 "Neeya 2" movie to be released on May 10th. Actor Suriya 38th Movie titled "Soorarai Pottru"
Udhayanidhi Stalin joins hands with Mysskin for "Psycho"